Bolton, Mass. -- When the powers that be at North Middlesex Regional decided to part ways with longtime Hall of Fame football coach Sandy Ruggles at the end of last season, it was viewed as a drastic and bold changing of the guard. Their belief was based on the program needing some fresh blood, a different philosophy and another voice. Enter Ryan DeMar. The former Leominster High and St. Anselm College standout lineman was given the unenviable task of replacing one of the greatest gridiron coaches in Massachusetts high school history. 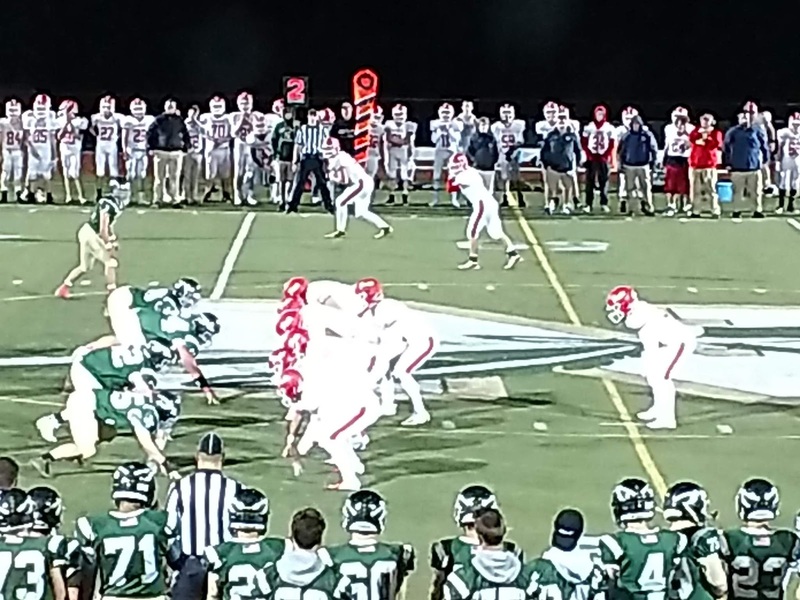 On Friday evening, North Middlesex managed to take a few baby steps in its quest for redemption, yet still proved it has miles to go as they were over-whelmed by Nashoba, 29-6, inside Chieftain Athletic Complex. Nashoba, now 6-0, is where North Middlesex (2-4) eventually wants to get to. Once upon a time the Patriots were the team everyone else clamored to be. Coached by Ruggles, they enjoyed tremendous success. While it is highly-unlikely North Middlesex will ever see those days again, the Patriots' primary focus is to start becoming relevant again. But for now, such relevancy remains on hold. Against the Chieftains, North Middlesex's struggled throughout the night. Nashoba quarterback Sam Bolinsky blistered the Patriots secondary by throwing for four touchdowns, completing 10 of 16 passes for 137 yards. Wit his performance on Friday night, the senior is now over the 1,000 yard plateau on the season. As a unit, Nashoba’s offense racked up 270 yards while its stingy defense held North Middlesex to 126 yards. The Chieftains jumped out to a 21-0 halftime lead and never looked back. A Bolinsky screen pass to Alex Childs went for 42 yards and had Nashoba up early 7-0. Midway into the second quarter, following a Evan Doig interception, Nashoba proceeded to drive 55 yards capped off by Bolinsky’s 1-yard pass to wide receiver Joel Culkins for the Chieftains second score of the night. 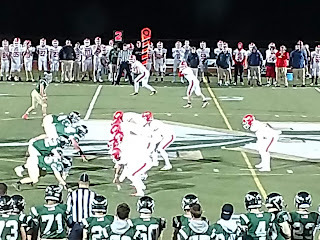 While North Middlesex continued to in its struggle in its attempts to move the ball consistently, Nashoba was able to push the ball down field via the air and ground. With time ticking down before halftime, the Chieftains struck again. A 20 yard reception by Doig paved the way for a 5 yard scoring grab from John Foney with less than two minutes remaining to give Nashoba a 21-0 lead. A few minutes into the third quarter, the Patriots got one of those scores back after LeBlanc rumbled 48 yards to the Chieftains’ 9 yard line. Three plays later, Tim Burson blasted in from 4 yards out to make it 21-6. In spite of the score, the deficit proved to be too big an obstacle for the Patriots to overcome. Moments after North Middlesex got on the board, Nashoba went on a 69 yard march highlighted by a Troy Barksdale 44 yard pitch and catch from Bolinsky. Will Danby’s follow-up conversion run had the Chieftains comfortably in front by 23 points.